The Toronto Star named matcha one of its biggest food trends of 2018, and food market analysts believe that the matcha craze will only continue to grow. Models have declared it a must-have health drink, the rapper Drake has gotten behind New York’s hip Matchabar, and Starbucks carries a whole arsenal of branded matcha products. It is very clear: the world loves matcha. But behind this trendy drink is an age-old tradition of pursuing purity, harmony, and universal truth. The word matcha is written with the characters 抹茶: matsu, “to rub,” and cha, “tea.” Matcha gets its name from the process by which it is made: unlike the brewed tea popularized in modern practice, matcha is produced from grinding tea leaves into a powder. Once ground, the powder is poured directly into water and whipped with a bamboo whisk to produce a much more condensed, stronger tea. The history of matcha can be traced back to the writings of the Chinese poet Lu Yu (733-804), later hailed as the “Sage of Tea.” Seeing tea as an embodiment of universal order and unity, Lu Yu raised its preparation to an art form and codified the art of tea in his treatise, Cha Jing (茶經 – The Classic of Tea). 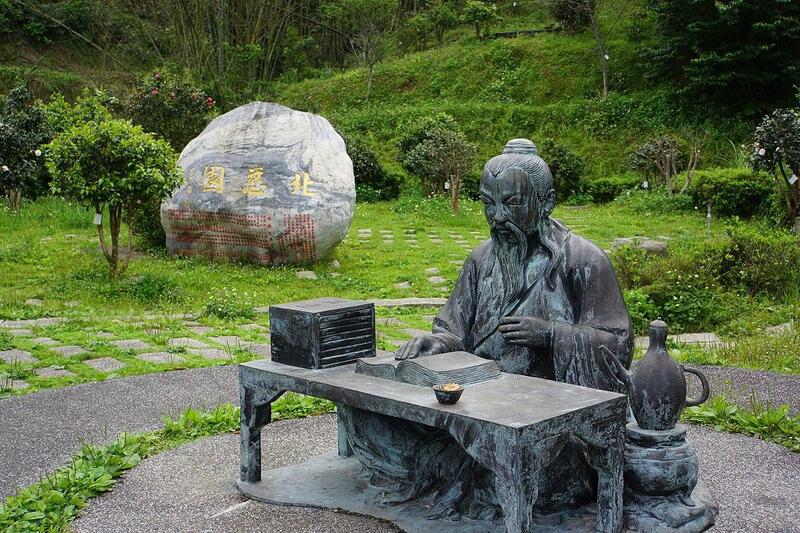 In the Cha Jing, Lu Yu established the essential procedures of the art of tea: how to recognize the best tea leaves, where to draw water from, how to properly boil tea. Most importantly for the history of matcha, he refined tea as a spiritual drink, reinventing the beverage from a crude assortment of ingredients -- early teas could include salt, ginger, rice, even onions -- to the clean, gentle drink we know today. Under the influence of Lu Yu, tea-drinking evolved from a medicinal tonic to a calming beverage of respite, and the teacup found its way from the doctor’s pouch to the scholar’s desk. The spirituality of tea was developed further during the Song era renaissance (960-1279), when Buddhism and Taoism flourished. The sophisticated aesthetes of the Song discovered immortal truth and enlightenment in the simple wonders of nature. To them, tea drinking embodied a momentary perfection that could lead the soul to the eternal enlightenment. It is from this appreciation for the small mysteries of the natural world that the spirit of Zen minimalism grows. Zen monks began to take tea before an image of the Buddha as a cleansing ritual. The ritual was passed to Japan through travelling monks in the 12th century, and over the next three centuries it was formalized into the Japanese tea ceremony. Dictionary translations of Sadou (茶道) are liable to reduce the art to its externally viewable form, rendering it simply “the tea ceremony.” Yet a more faithful translation would be “the Way of Tea,” and “Way” here has much deeper philosophical implications than just the visible aesthetic ritual taken in Japanese tea. The dou (道) in Sadou means “path”, “road”, or “way;” it is the same as the “Tao” in Tao Te Ching, the Way from which Taoism gets its name. In the beautiful oasis of the teahouse, the Japanese perfected the art of tea drinking as a philosophy that permeated their spiritual life. Alongside the standardization of tea goods and the spread of powdered matcha mills, the Japanese way of tea contributed a gravity and serenity to the tea-drinking experience that integrated it into a Zen way of life. Multiple schools dedicated to perfecting the Japanese way of tea formed, including at least three major schools based on the teachings of the Japan’s most revered tea master, Sen no Rikyu. The two unique, critical Japanese contributions to the of way of tea were the creation of the Japanese teahouse and the idealization of the tea ceremony as the center-point of a spiritual lifestyle. No longer a simple momentary enjoyment or respite, the act of drinking tea became a culmination of a spiritual endeavor aimed at self-effacement and transcendence. First, a guest would be invited to join the ceremony at a tea house; for the following few weeks, both the visitor and the host would strive to empty their minds and purify their souls in preparation for taking tea. Once thus prepared, the participants make their way to the teahouse, traversing an outdoor passageway – an aesthetic space that separates the natural, peaceful world of the teahouse from the busy bustle of daily living. The passage through this space epitomizes the essence of the Japanese way of tea: with a rocky path, surrounded by trees, and few manmade decorations, it is a minimalist, naturalist space designed to engender the emptying of the desire-plagued individual self, leaving the beholder in a state of spiritual purity. Once in this purified state, the participant is ready to partake in the ritual of the tea ceremony, to appreciate the immediacy and reality of their experience with the tea that may allow them to transcend their muddled soul. Long steeped in the Japanese soul, the flavor of matcha tea developed new expressions during the Meiji Restoration (1868-1912), a period of rapid modernization and innovation in Japan. Grappling with the sudden influx of foreign culture after over 200 years of strict isolation, Japanese in the Meiji era sought new ways to express their beloved traditions in a modern, international milieu. 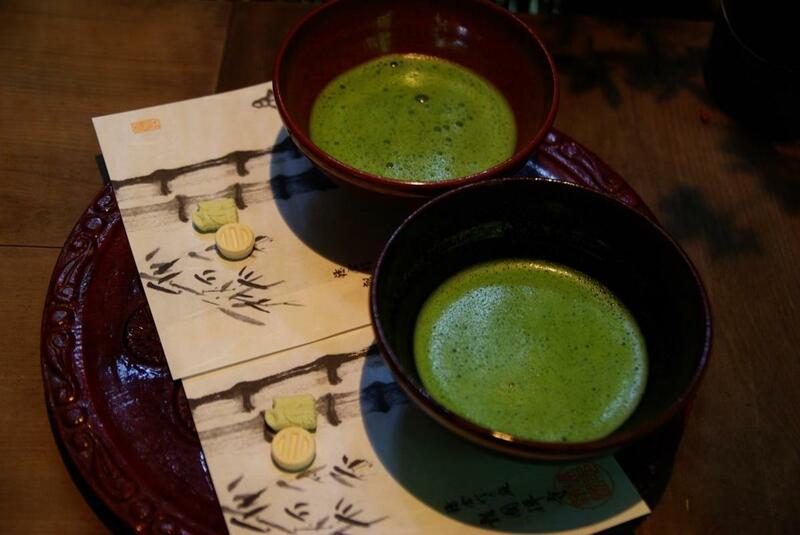 Matcha was one of many Japanese traditions that saw experimental new forms in the Meiji era. An early Meiji imperial banquet menu attests to the early development of matcha ice cream, served then in the shape of Mount Fuji. 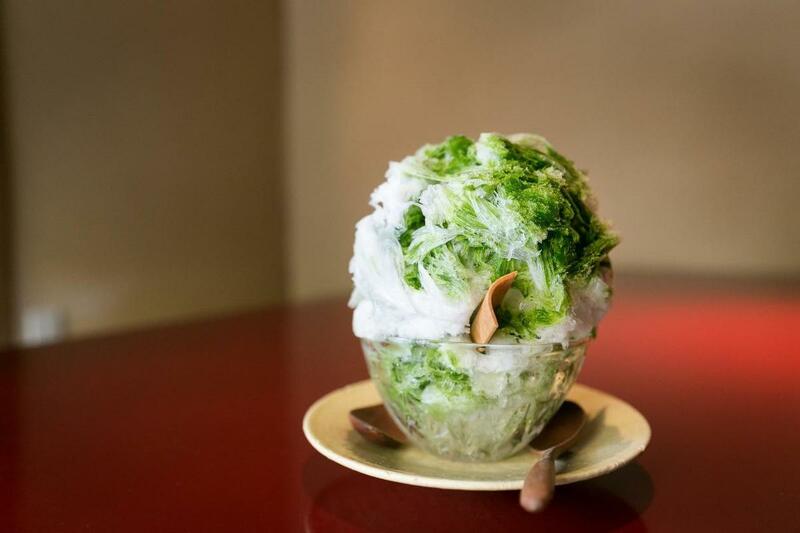 More popular was matcha shaved-ice, a bitter infusion to the refreshing sweet that remains a staple flavor in Japan to this day. A more traditionalist development sees matcha-flavors introduced to its natural partner in the tea ceremony, Wagashi (traditional Japanese sweets) , with matcha-flavored manju, monaka, and more. A second wave of innovation and change occurred in post-war Japan, as the country miraculously rebuilt itself out of the wreckage of World War II. Alongside postwar cultural change came changes in matcha, as the flavor was reconstructed as a modern international commodity. With the advent of beverage vending machines in the 60s and 70s, immediately drinkable canned matcha products were developed and marketed in large quantities. Inspired by this success, Kyoto-based tea shops begin producing matcha-infused sweets, including cakes, macarons, and castellas. Tailored for a modern, mass-produced market, matcha took flight and spread Japanese culture around the world. Japanese restaurants and supermarkets abroad began importing and reproducing matcha products. 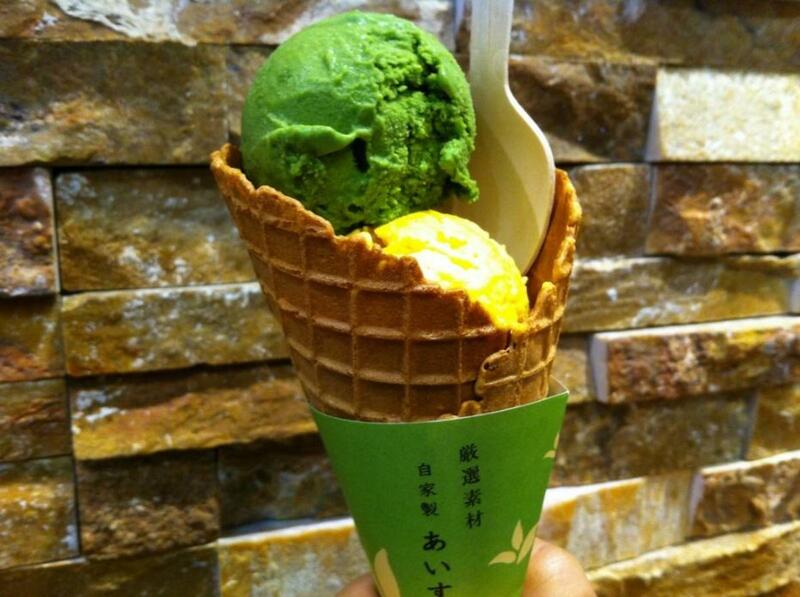 Maeda-en USA, a US-based Japanese restaurant business, created its own hugely successful matcha ice cream in the 1990s, sparking an international matcha craze that continues to this day. Since then, many companies have capitalized on the matcha boom, marketing branded products of their own. 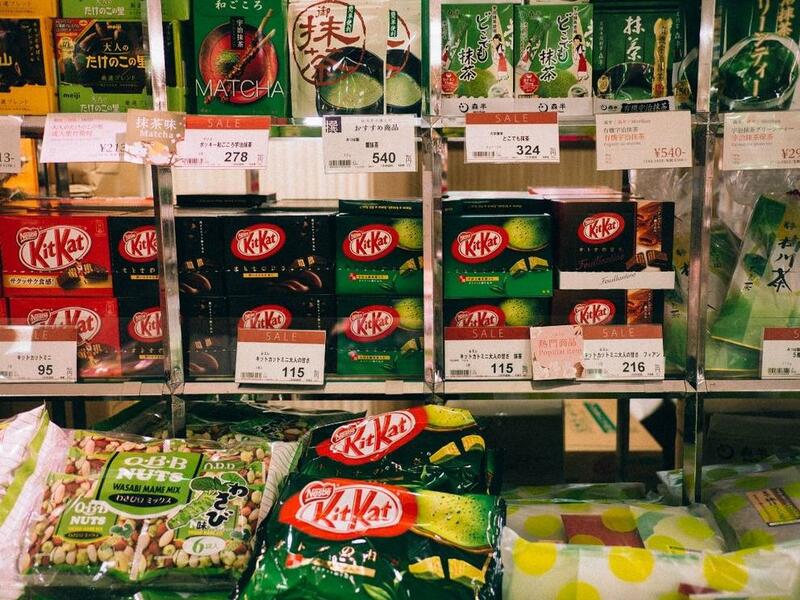 Nestle Japan developed the legendary Matcha Kit Kats in 2004, part of a unique local marketing campaign that helped the foreign brand establish a dominant footing in the Japanese chocolate market. Others soon followed suit, including Glico, with their popular matcha-flavored Pocky. Luckily for visitors, the combination of a rich history and a modern boom has created an abundance of ways to enjoy matcha products in Japan. The aforementioned Matcha Kit Kat is a perennial tourist favorite, which you can pick up at the popular super-store Don Quixote (Fun Fact: The company produces a special version of the Matcha Kit Kat designed to appeal to foreigners , which is only sold at the airport – whether you choose to go for the milder airport variety or for the full Japanese experience we leave up to you). For those looking for a more authentic Japanese experience, you can try experiencing the tea ceremony yourself. 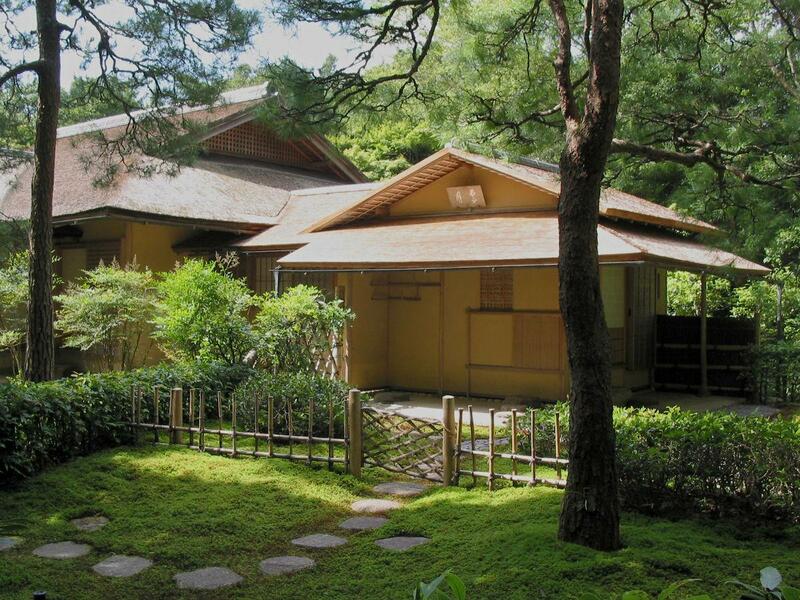 In the serene retreat of the tea house, you can sit and appreciate the beauty of the Japanese art of tea, honed through centuries of practice and meditation. Sheltered from the ceaseless bustle of modern life, you can take a moment to empty your mind from the stresses and temptations and appreciate the tranquil harmony that exists in nature, the harmony that Eastern sages and monks have sought through ages past.